RACHEL AMODEO’s cult classic . . . ‘WHAT ABOUT ME’, 1993 . . screens to-nite. 166 MOTT ST . . LOWER EAST SIDE, NYC. RACHEL AMODEO WROTE, PRODUCED & DIRECTED THIS INDIE CLASSIC . . TERMED ‘GRITTY’ in EVERY REFERENCE, that pops up, it’s widely considered to be in the top ‘under-rated’ hits of the 90s. with music by JOHNNY THUNDERS, and a host of cameos from colorful characters long gone, but not forgotten . . this IS the vibe .. that gave the East Village – it’s legendary status. 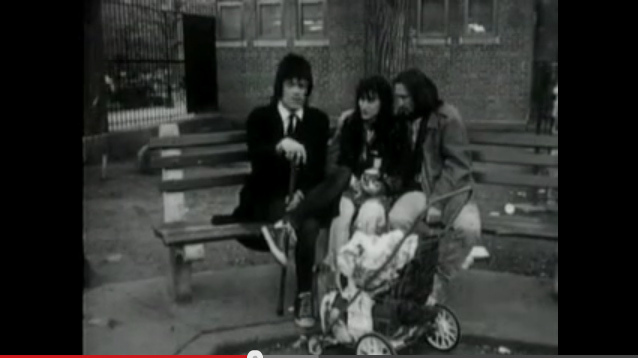 ‘A young woman becomes homeless on the streets of NYC’ – is not the half of it . . as you can see in this clip . . featuring: DEE DEE RAMONE. the referencing of the Vietnam debacle . . is particularly sad. see: DEE DEE RAMONE . . in ‘WHAT ABOUT ME’. that’s a classic DEE DEE on the left, RACHEL AMODEOS is in the center, & I don’t know the guy on the right, but he can stand in, represent the whole amazing scene . . in a blink. 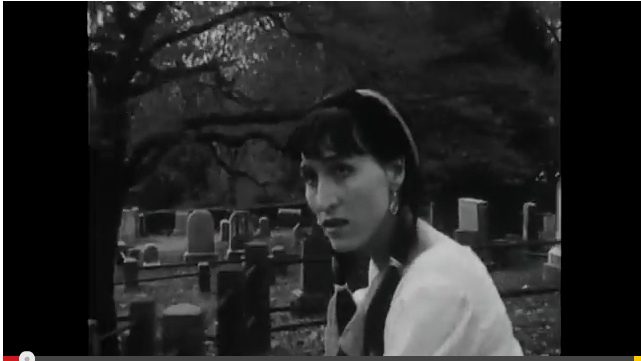 note: this scene was actually filmed the day JOHNNY THUNDERS died, APRIL 23, 1991. I’m sure RACHEL herself will make the screening, so you can ask a her . . in person, all the questions you want to . . it’s bound to be a blast . . of an event. if you CAN’Tmake it, because like you are in Paris or London, Japan … or just New Haven, you can actually watch it for free, in it’s nitty gritty entirety . . online. 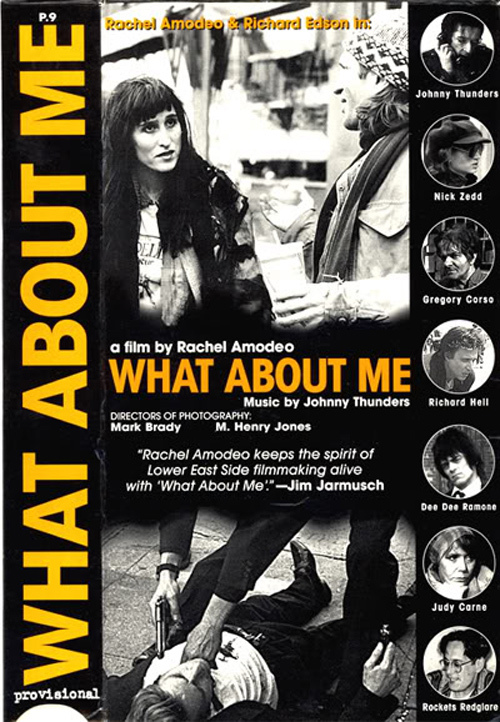 see: ‘WHAT ABOUT ME’ – A FILM WRITTEN, DIRECTED & PRODUCED BY RACHEL AMODEO.